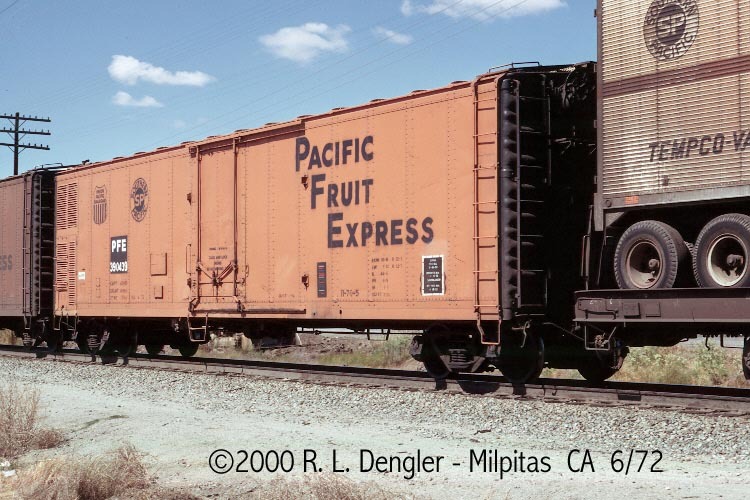 These 50' ice bunker refrigerator cars were all built by SP in 1952-55 and featured XXXX ft3 capacity and a 6'-0" plug door opening. They were primarily used in frozen food service. 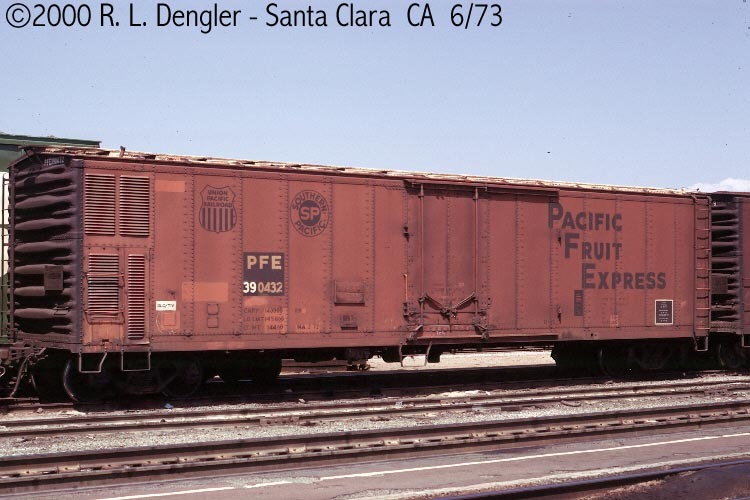 They were rebuilt as mechanical refrigerators in 1955 and renumbered as above, still assigned to frozen food service. To complicate things, in 1968, 100 cars had meat rails added and were renumbered to the 200388-200412 block. 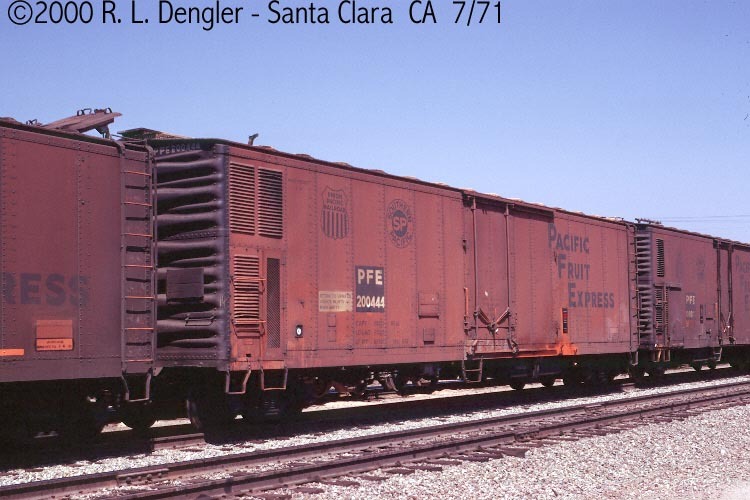 An unknown number of remaining cars had their mech reefer equipment removed in 1972-74 and were renumbered in the 390388-390412 block for TIV service.